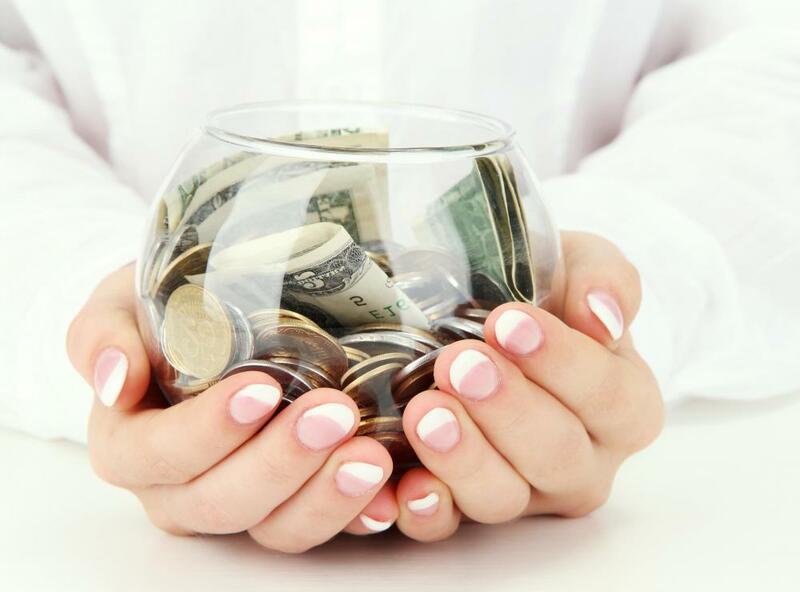 Money kept in a savings account for emergencies could be used in the event of job loss or medical issues. Some people put their spare change in a container to be used for later emergencies. An emergency fund is a savings account that is intended to be used only in case of emergency, such as an unexpected job loss or high medical bills. Financial advisers often recommend that individuals and families set up emergency funds just in case, and the amount on the account should be based on one's monthly income in comparison to monthly bills. It can take time to set up an emergency fund, but it is an important step to financial security. In general, experts recommend an emergency fund that would pay the bills for between six and eight months without any income coming in; if a job was lost, for instance. To determine this amount, begin by making a list of all the bills that are absolute necessities, and their amounts for each month. This includes items such as the mortgage, groceries, a car payment or gas for the car, electricity, and heating bills, among others. Non-necessities might include things such as cable television bills or the amount spent going out to restaurants. Once the monthly bill for necessities has been determined, multiply it by six or eight to determine how much would need to be saved in order to live for that amount of time. It may be a good idea to open a separate savings account to use just for the emergency fund, so the money is out of sight and out of mind. In addition, a savings account will allow the money to earn some interest, whereas a checking account will not. It is generally not a good idea to use cash as an emergency fund, nor is it advisable to use a retirement account or any other account that cannot be accessed quickly and without tax penalties being assessed. Investments and retirement funds are important as well, but should be separate from an emergency fund. One excellent way to add to an emergency savings account is to set up an automatic withdrawal at a bank; for example, the automatic withdrawal might occur every two weeks after a paycheck is deposited, for a set amount. This way, the money will automatically go into a savings account, and will not risk being spent. The method in which one chooses to pay off debts such as student loans, credit cards, and car loans is ultimately one's own decision, but some financial advisers recommend paying loans while simultaneously creating a savings account for emergencies. This way, if one's employment is lost, there will at least be a small amount of money to fall back on. How Do I save Emergency Money? What Are the Best Tips for Building Financial Security? How do I Choose the Best Business Savings Account? What is a Cash Flow Budget?